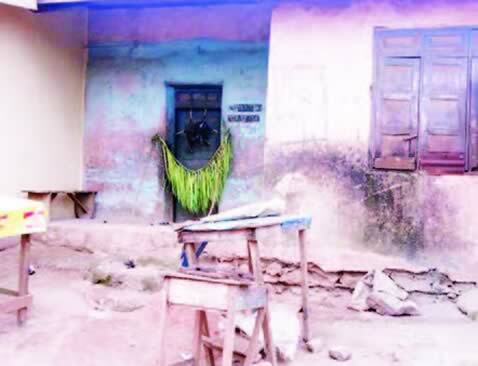 The Ipinsa community in the Akure South Local Government Area of Ondo State has accused a pastor, identified as Abiodun , of involving in fetish activities in the town. It was gathered that sequel to the development, the traditional ruler of the community, Oba Omoniyi Olufunmilayo , on Tuesday ordered that Abiodun ’ s land in the community and his house located in the Ayedun area of Akure , should be sealed up. Abiodun was accused of burying a coffin and some other fetish items on his piece of land in the community. A source said after discovering what the pastor did on the land , the community asked him to remove the items, but he refused . The source said , “ The failure of the pastor to remove the fetish items on the land prompted the people of the community to take action against him . According to the source , the land and the house will remain sealed up until the pastor digs up and removes the items he buried in the land . When contacted on the telephone , Oba Olufunmilayo said he would not make any comment on the development on the telephone . The pastor was said to have left the community and his whereabouts was unknown as of the time of filing this report.